Fall Protection Awareness Training fulfills basic requirements for those employees who may be exposed to fall hazards. This interactive program begins by introducing students to appropriate Personal Protection Equipment (PPE) and simple Fall Protection system components, as well as care and maintenance of life safety equipment, recognition of fall hazards, and basic rescue considerations. 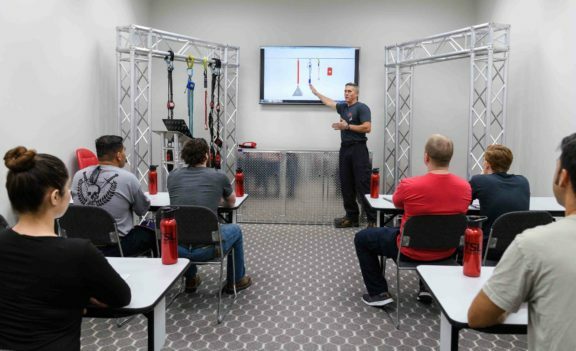 All Tech Safety Lines, Inc. rescue and safety training programs meet or exceed ANSI and OSHA standards. This class is offered in Spanish and in English. Please contact us for pricing and further information.